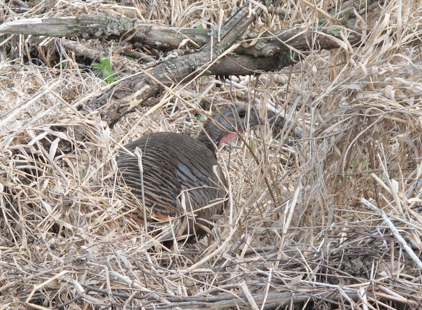 In May 2013, a wild turkey made her nest near Nine Mile Creek. I like to take frequent walks around Nine Mile Creek by Edina High School. In early May, I saw a turkey mother sitting on her nest. On May 17-18 a big storm hit and the whole area was flooded. After the storm, I checked on the nest and realized that the mother had disappeared and the eggs were floating in the creek water. I found eleven eggs and carried them home. The Wildlife Rehabilitation Center will not hatch eggs so I put them in my bearded dragon’s cage to keep them warm. Information I found on the internet said to keep them at 99 degrees F and to turn them at least three times a day to keep the developing poult from sticking to the egg shell. A week later, I put them in an incubator I bought at Mills Fleet Farm. Turkey eggs are supposed to take about 28 days to hatch. In the beginning of June, I thought I saw the eggs moving a bit. I started to hear some peeping noises, too. On June 4, the eggs hatched—all on the same day! Out of the eleven eggs, only one failed to hatch. However, nine of the turkey poults were unable to walk or even stand up properly. With a little research on the internet, I discovered they had spraddle leg, a condition in poultry that occurs when an egg experiences extremes in incubation temperature, such as floating in cold creek water. With this condition, a newly hatched bird’s legs splay outward and it can’t hold them together to be able to stand up. If it isn’t treated in the first few days after hatching, the bird will never be able to walk. One way to cure this condition is by putting hobbles on its legs so that they don’t splay out. The legs then develop in the proper position and the bandage supports them so the bird can stand up and walk. These hobbles can be made out of Band-Aids and are easy to put on. Within five minutes after putting the hobbles on, the poults were standing up and very active. They enjoyed eating the mealworms and dandelion greens that I offered them. The hobbles needed to be kept on for 4-14 days. 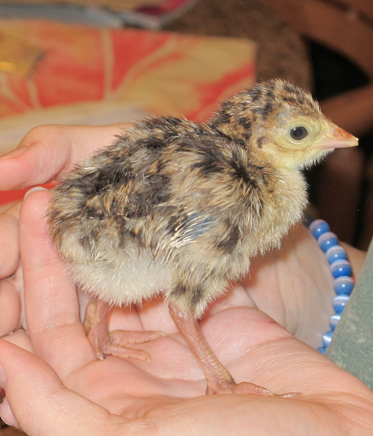 The day after the turkeys hatched, I brought them to the Wildlife Rehabilitation Center so that they could have the best care. I checked up on them and found out that half of them were put to sleep because of the severity of their spraddle leg, but the other half were very healthy and growing quickly. Those five poults were released in a nature preserve in Inver Grove Heights so that they could join the wild turkeys there. 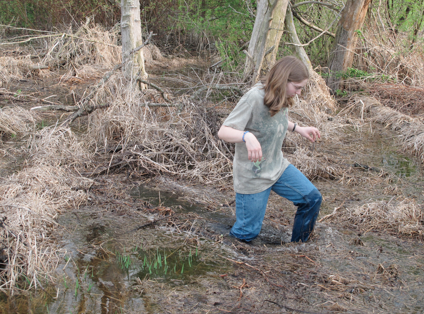 When Nine Mile Creek flooded, the turkey nest was a foot deep in water and the mother turkey had abandoned it. In this photo, I was checking the nest site to see if I had missed any turkey eggs. 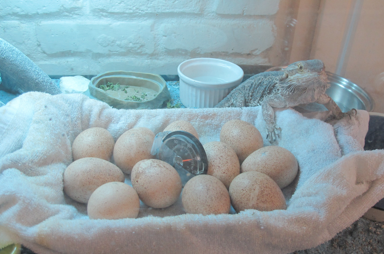 My bearded dragon seemed quite proud of the turkey eggs when they were put in her cage. 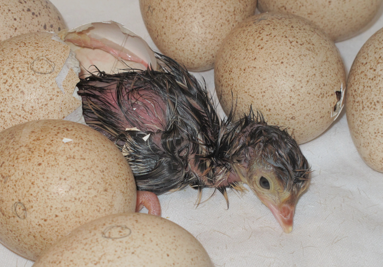 A turkey poult seconds after hatching. When the poults dried off after hatching, they were fluffy and beautiful. This was the only one that did not have spraddle leg. 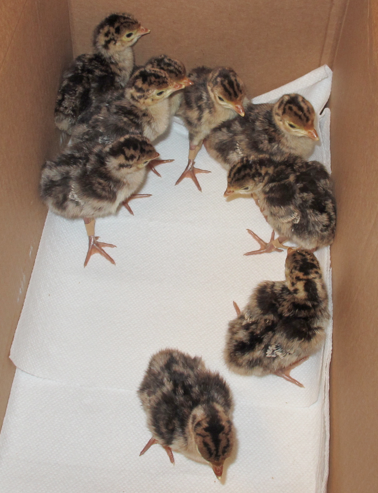 Here the turkey poults are getting ready to go to the Wildlife Rehabilitation Center. The hobbles made out of Band-Aids can be seen on some of them.